Our Fall schedule is posted online. Classes begin August 14th! TNM Dance will be closed Labor Day, September 7th, Thanksgiving Break November 23rd-27th, Christmas and New Years December 21st-January 1st, Spring Break March 7th-11th, and Memorial Day May 30th. All students in Act I must report backstage to the Berkner H.S. auditorium dressed in costume and ready to perform their first number at 5:25 P.M. Stage rehearsal is on Friday, May 30th for all dancers participating in recital. See the results from Synergy Dance Competition. 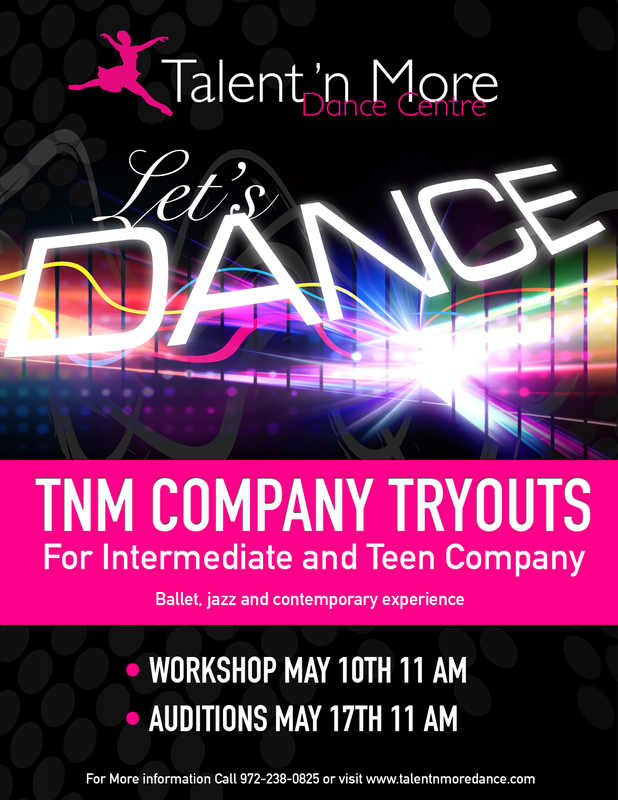 TNM Company Tryouts coming on May.